How are Progressive Jackpot Payouts Distributed? - Casino Answers! 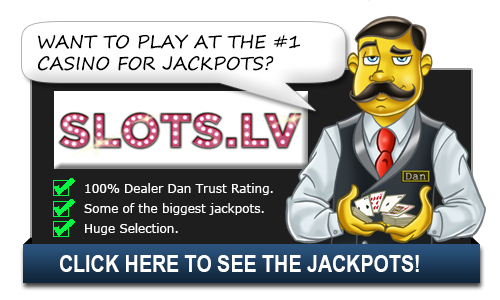 Casino Answers » Casino Progressive Jackpots » How are Progressive Jackpot Payouts Distributed? How are Progressive Jackpot Payouts Distributed? There are many factors that inform distribution of progressive jackpot payouts. Some of these pertain to the policy of the particular game where the win occurs. Others are dependent on taxation which is in turn dependent on the amounts won and the winner’s preferred payout method. The payout method also informs the manner in which the jackpot will ultimately be distributed. In light of all these, it is clear that there is no single formula for the distribution of jackpot payout. What is presented below gives a general picture of the distribution process. Distribution of progressive jackpot payouts is, to some extent, dependent on the policy of the game where the jackpot has been won. The role of the game in distribution starts at whether the amount in the jackpot reduces to zero when the jackpot is won. In some cases, a certain amount of the money in the jackpot remains in the machine. If this is the case, then the winner takes home what remains after the amount to remain is deducted. For example, if the amount accumulated in the machine at the time it is won is $ 100,000 and the policy of the game states that the minimum amount that can be left in the game is $10,000 then $90,000 is withdrawn from the machine. In some instances, distribution of what is to be taken by the winner and what is to be retained in the game is expressed in percentage. In such a case, if for example, the machine is intended to retain 5% of the winnings and the total jackpot amount is $100,000, then the actual amount won will be $95,000 i.e. ($100,000 – 5%). Some progressive jackpots have innovative ways of rewarding players. In some instances, the casinos endeavor to increase the pool of winners so that the game does not become a winner take all affair. One such jackpot is known as Everybody’s Jackpot. Once the jackpot has been won, 70% of the whole amount is due to the winner. The remaining 30% is distributed among other players as follows: 15% goes to all players who attained a certain preset betting amount, it is distributed equally to all of them. The final 15% is distributed among people who played during the 24 hours before the jackpot is won. Those who play within the last 24 hours are rewarded according to the size of the bets they placed. Such a jackpot rewards not only luck but also loyalty. Once the winner has received the winnings from the casino, there is an amount that goes to taxes. Casinos are normally not obligated to withhold tax amounts for the IRS. If the player does not present the casino with their social security number, the casino is obligated to withhold 28% of the winnings before disbursement. The percentage of tax amount depends on the amount the player has won. If the amount is anything below $1200, no tax is levied. Winnings of between $1200 – $4999 are taxed at a rate of 28%. When the winnings are above $5000, they are considered a part of the winner’s earnings and taxed accordingly. Sometimes the winnings move the winner from their usual tax bracket causing them to pay higher taxes for all their income than they would previously have paid. The other aspect of distribution is informed by the payment options that the winner choses. A person who wins a large amount of money in a jackpot may choose to receive their payment as a lumpsum or have it disbursed over a period of time. When payment is distributed over the years, it is known as lifetime payment, lifetime payout however does not mean that the winner receives payment throughout their life. It would not be possible to make such an arrangement since the jackpot is a definite amount of money and there is also no way of knowing how long a person is going to live. In light of the above, the lifetime payout is given over a period of between 25 and 30 years. Lumpsum and lifetime payouts normally have different implications on the amounts paid in taxes. Distribution of progressive jackpot payouts varies from game to game and depends on the amount won. It is therefore clear that there is no uniform formula for the distribution. This means that there can only be a general outline of what happens. In case a person gets involved in a game, it is important to familiarize themselves with the rules of the game in which they seek to engage. It is usually a legal requirement for casinos to make these rules available to gamers. Should the rules not be made available, the casino is considered unauthorized. How are Progressive Jackpot winnings paid?